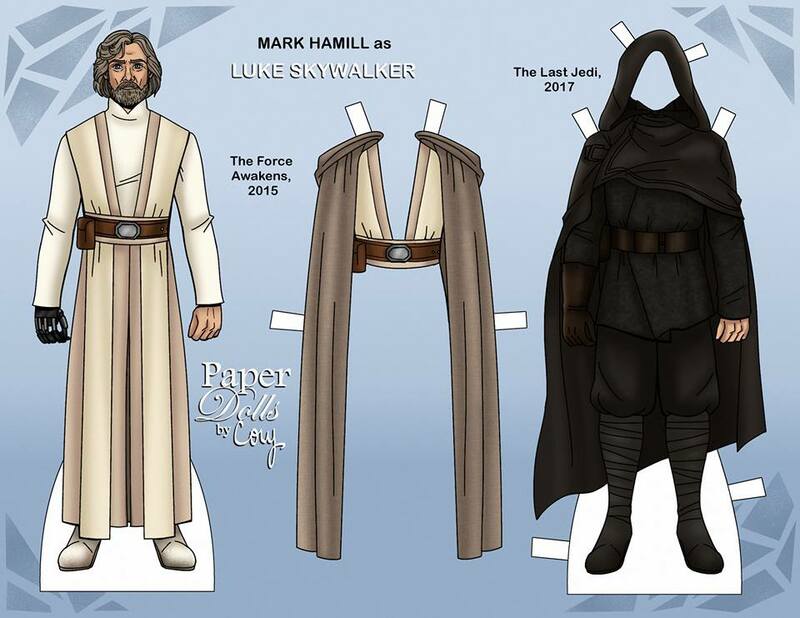 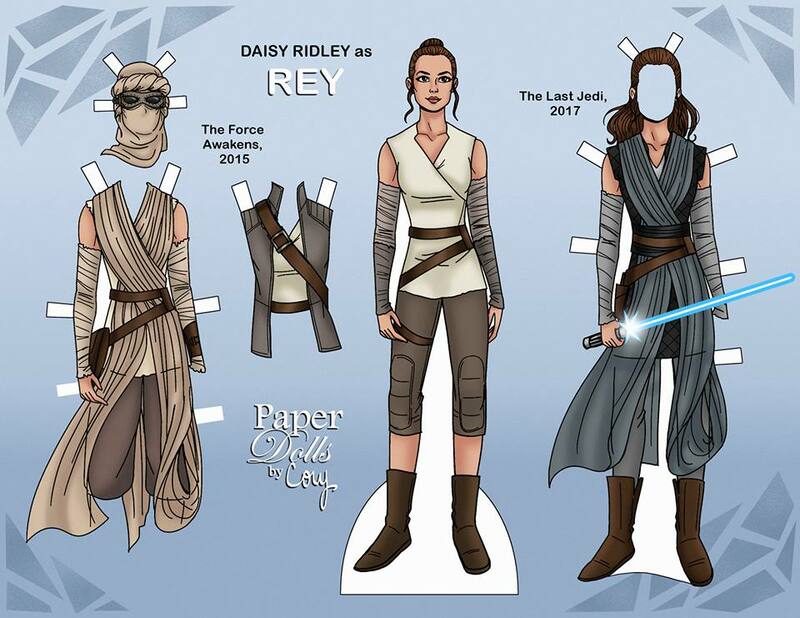 Paper Dolls By Cory is at it again, this time with a galactic collection featuring characters from a galaxy far far away. 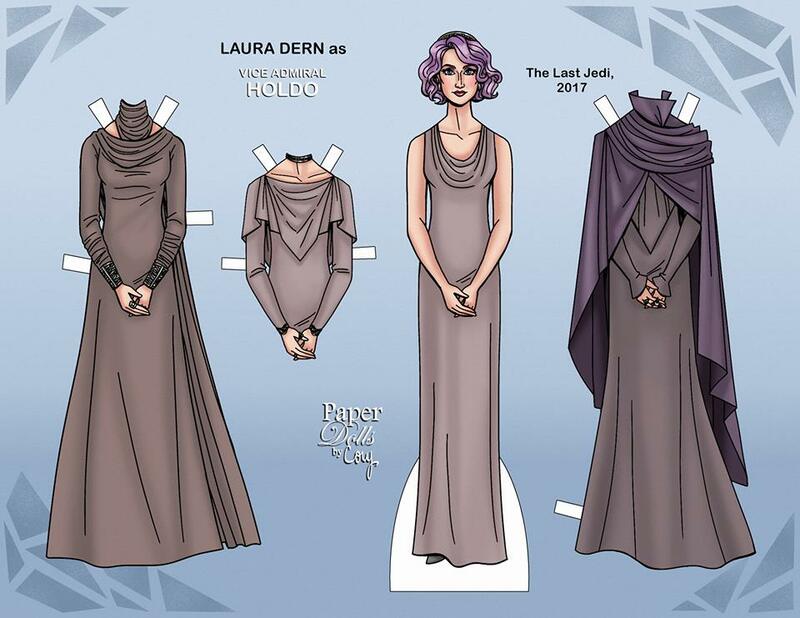 The Last Jedi has certainly made it’s mark in the cinema world fetching one of the largest box offices to date. 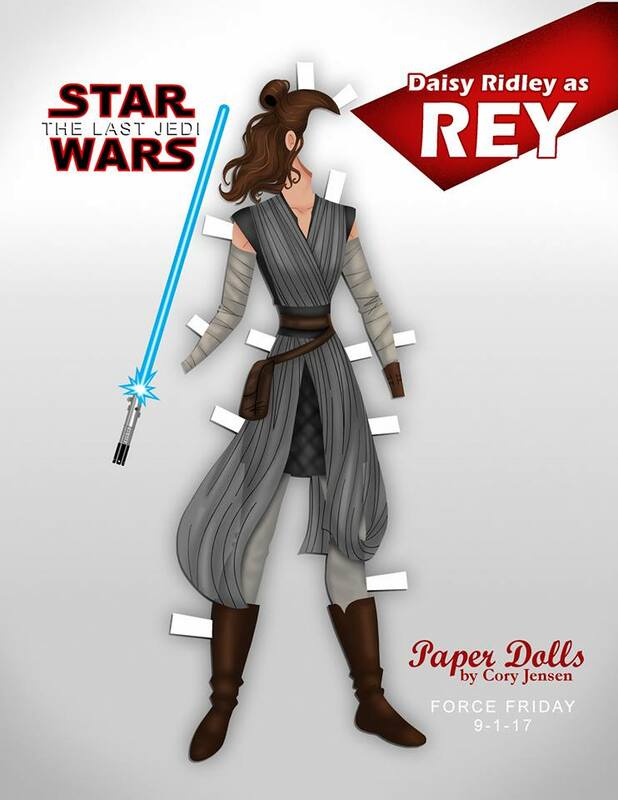 Cory from Paper Dolls By Cory was one of those fans who fell in love with the movie, the story, and of course the costumes. 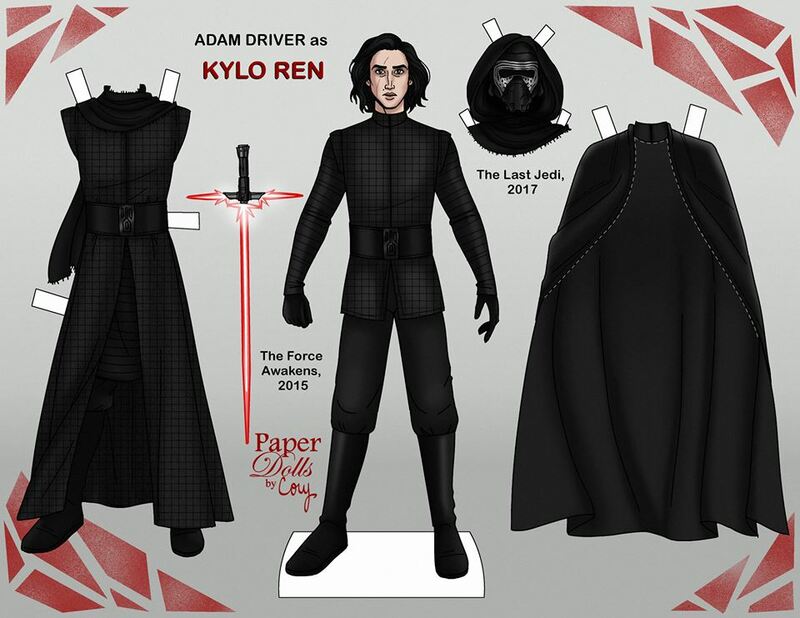 He put together a collection that any Star Wars fan would love to have! 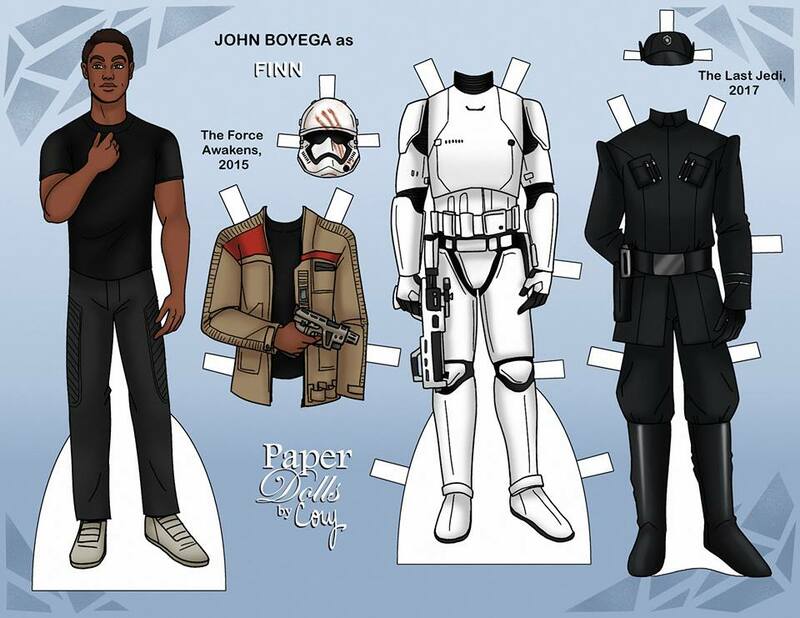 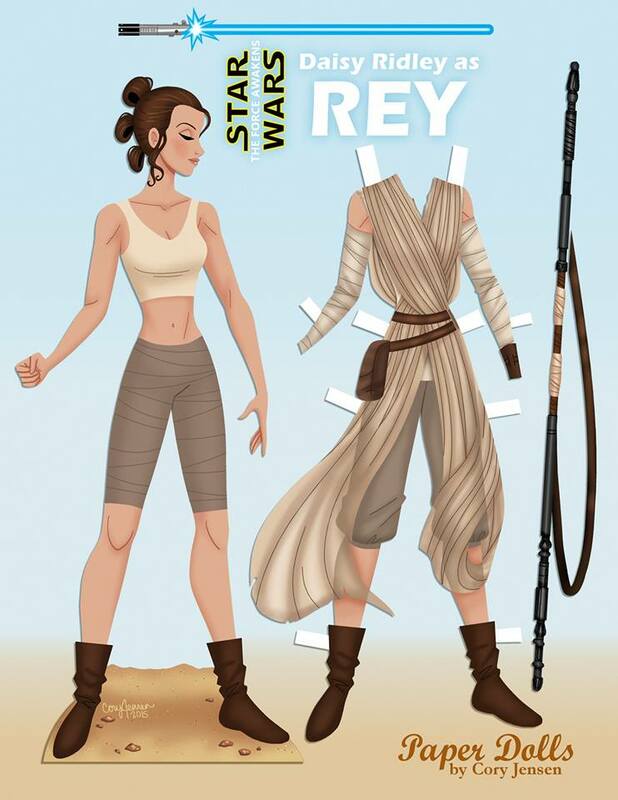 The best part about these printable paper dolls is that they are free. 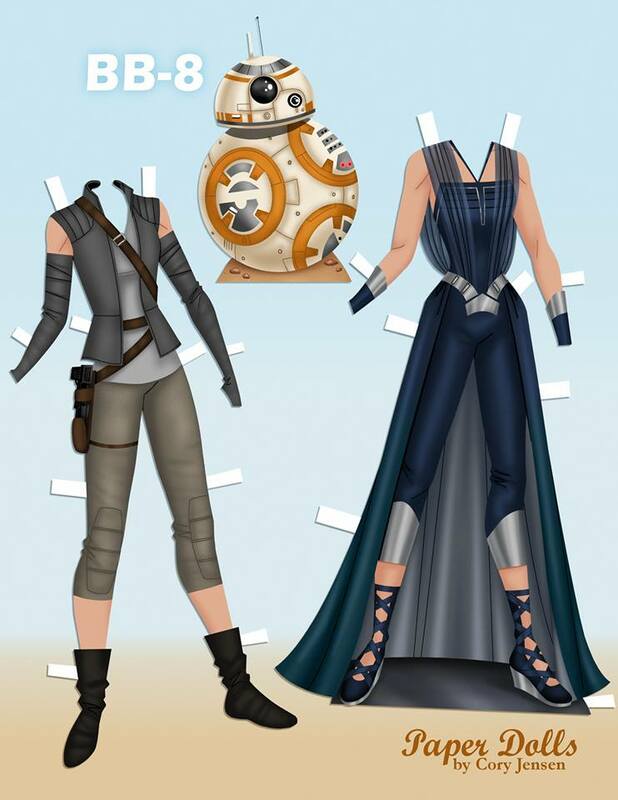 Simply download the image, print on cardstock, carefully cut out the costumes and the doll, then play or display! 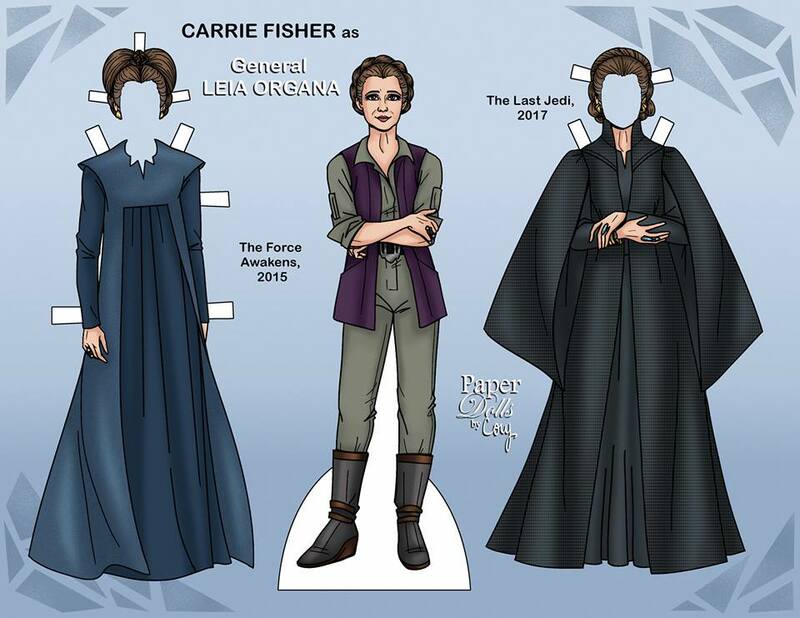 You can download the paper dolls by clicking the images below or head over to Paper Dolls By Cory and download the paper dolls from his Facebook site. 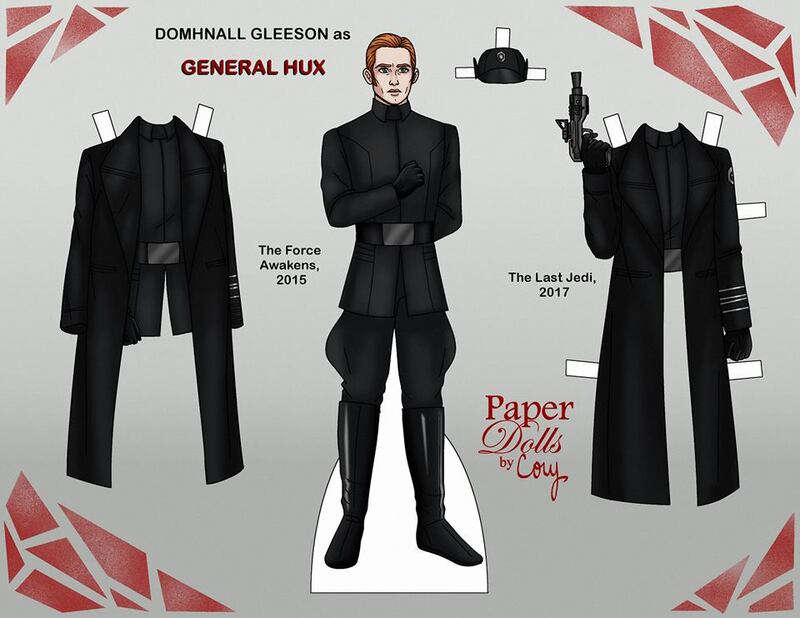 He has many more paper dolls so look around.